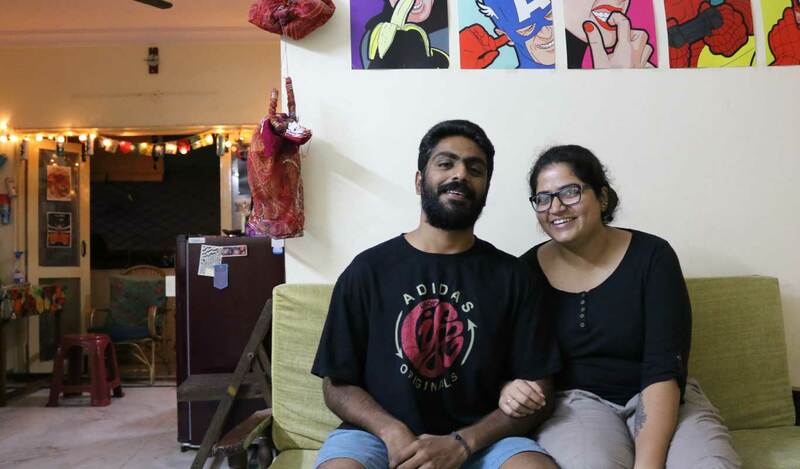 For Vidya Warrier and Arjun Varma, stepping into the metropolitan bustle of Bengaluru from their otherwise unruffled life in Kerala promised excitement. Among the many other priorities for the newly-married couple, setting up a cozy nest in the new city topped the list. 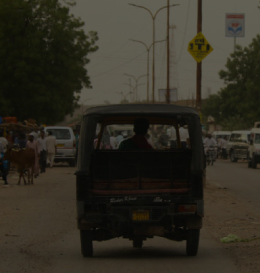 “Arjun did his post-graduation in Bangalore, so he is more-or-less familiar with the life here. 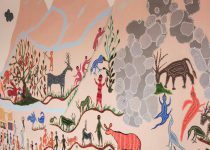 For me, the whole experience is new and exciting,” says an animated Vidya, who works as an educator in a pre-school for toddlers. “We fell in love with this place [their apartment in Bengaluru], and we spent a lot of time making it our special home,” she says. But as the saying goes, ‘Rome wasn’t built in a day’ and the same is true for a new home. It was during this pursuit that the couple turned to Flipkart, and unknowingly, its customer service partner, Jeeves. Newly-weds, Vidya Warrier and Arjun Varma share a special Flipkart moment. “Before we went all out on decorating our new home, I wanted to make sure that we had the basics in place,” says Arjun, now a sales professional in the city. The couple spent the first few weeks skimming through consumer products showrooms, hunting for the most suitable appliances for their apartment. Incidentally, this was also the time when Flipkart’s landmark sale, The Big Billion Days 2016, was on. 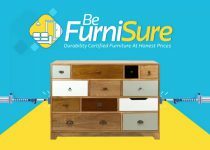 “We were looking for a refrigerator and found a fantastic deal on Flipkart — a 175 liter Kelvinator with a beautiful floral pattern on the door. That, too, at just 9000-odd rupees! We placed the order immediately,” recalls Arjun. Both Arjun and Vidya were familiar with shopping online, but this was the first time that they bought a large appliance on Flipkart. Uncertainty reigned large. ‘Will Flipkart’s delivery be on time? What if the product is damaged in transit? Who will help with the installation?’ were some of the questions running on their minds. “A day after we placed the order, our brand new refrigerator got delivered without a glitch. And to our surprise, the installation took place right after the delivery,” says Vidya. 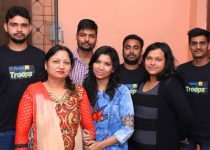 How did Flipkart deliver this experience to the newlyweds? 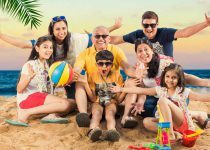 The answer lies in its unique partnership with Jeeves Consumer Services Pvt Ltd. 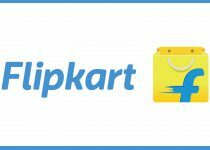 In 2014, Flipkart ventured into a new space by making large appliance products available to online shoppers in the country. Introducing this new category demanded more than just offering a good product range. 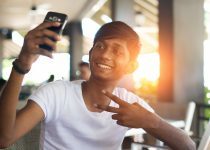 It also meant that the de-facto dynamics of selling [to the customer] and procuring [from the brand or seller] for Flipkart had to undergo drastic changes to meet some new challenges. This was a time when a majority of customers were still warming up to the idea of e-commerce. 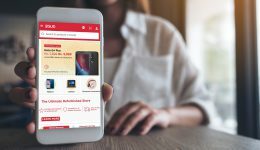 The perception that online shopping can be reliable was only gaining incremental trust, and Flipkart knew the new product category would make only a small dent in these efforts. At one end, a dominant offline seller base had to be convinced that online was the new way to sell. On the other, sensitizing customers to trust and buy high-value goods — televisions, refrigerators, air conditioners and washing machines — required a strategic overhaul. This is when Jeeves came onto Flipkart’s radar. 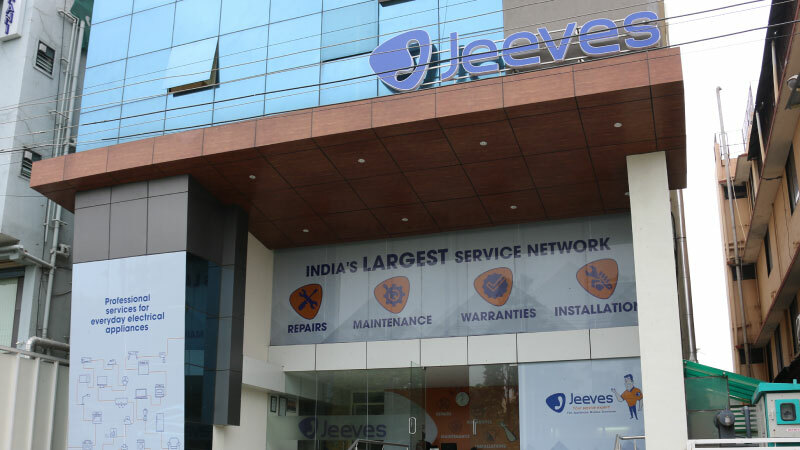 Jeeves Consumer Services Pvt Ltd, one of India’s leading third-party after-sales service providers, is no stranger to top brands and appliance sellers in India. With a network of 320+ service partners, it is a formidable player in India’s consumer electronics service space. Three years ago, seven-year-old Flipkart was foraying deeper into the world of online sales. 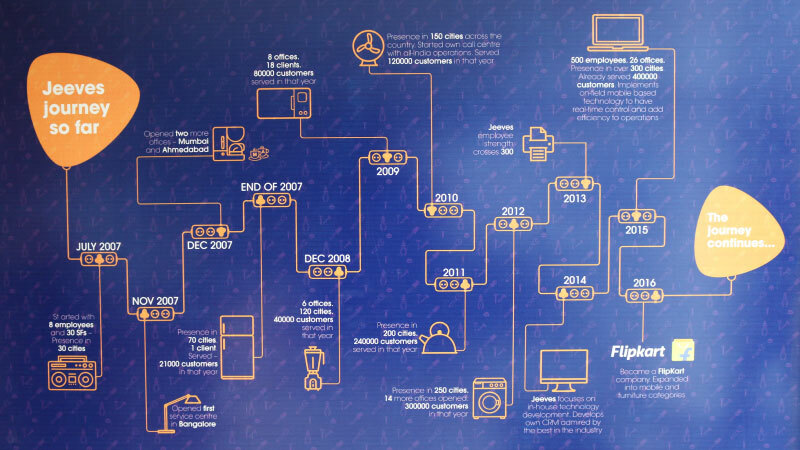 In early 2014, new challenges dawned upon Flipkart, and among them was the launch of the large appliance category. 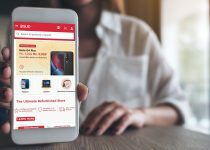 Flipkart was testing the waters with these big-sized [large appliance] products, and while everything progressed smoothly initially, Flipkart suddenly hit an iron barrier —confirming one of its greatest fears. 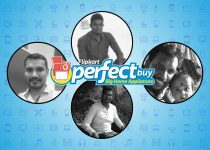 Demand for large products online increased as customers found it convenient to buy them on Flipkart. However, the CSAT [Customer Satisfaction] scores took a hit. Complaints about the delivery and installation experience flooded the customer service bays. Flipkart had to pull the plug on their ‘L’ sized expedition. The large appliance category was shut down. 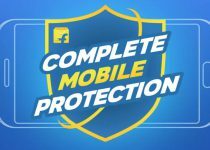 Ironically, in Flipkart’s history, it had been one of the fastest-ever to be launched, and perhaps the fastest to be closed down. 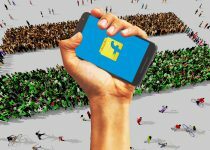 For Flipkart, though, failure and challenges are par for the course. 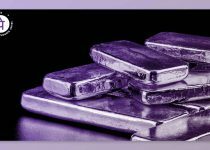 After all, having pioneered services like Cash-on-Delivery, Next-Day Delivery and eKart, and overcoming many peculiar challenges, those who were steering the ship knew that calm almost always followed the storm. Things needed to be fixed, and fast. 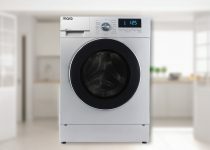 “The first launch [of large appliance] was an eye-opener. But as you would know, we are not in the habit of backing out. 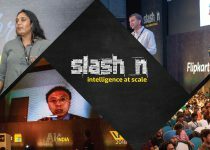 This time, we wanted to mobilize the right capabilities and go prepared,” says Vikas Bansal – Product Leader at Flipkart and Ex-CEO of Jeeves. 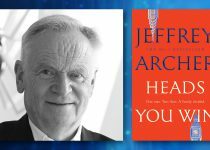 At the time, Jeeves was already into the business of what Flipkart aspired to drive online, but for the offline market. “We thought; why create something new when we can integrate the capabilities of Jeeves,” adds Vikas. In the latter part of 2014, Flipkart acquired Jeeves. Coincidentally, around the same time Flipkart relaunched the Large Appliance category. 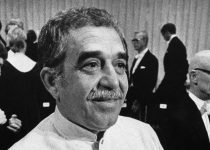 As history has taught us, there is no perfect strategy in war, especially one that involves commerce. In the blink of an eye, new challenges erupted for Flipkart. To start with, to integrate Jeeves into the world of online commerce was going to be no cakewalk. 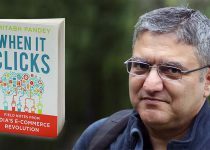 “We [Flipkart and Jeeves] had completely different [product] interfaces, APIs and systems. 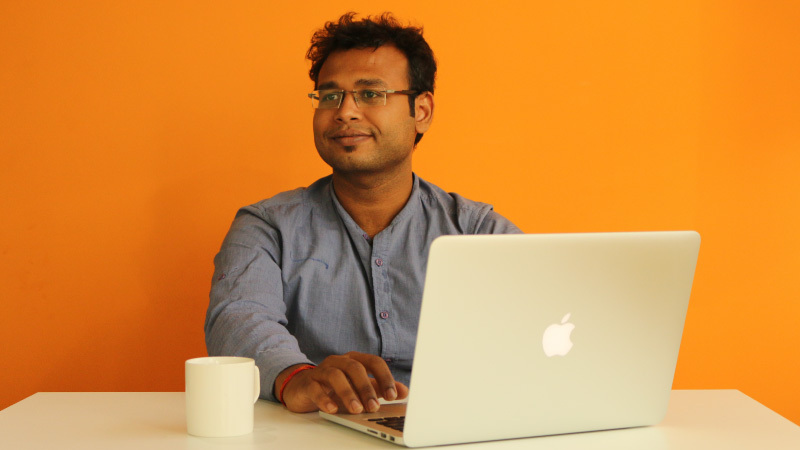 It was like fitting a square peg in round hole,” recalls Piyush Mayank – Product Manager at Flipkart. 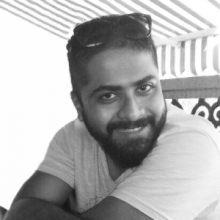 Piyush played a key role in orchestrating the Jeeves integration with Flipkart and ensuring that their synergies blended seamlessly. The operation for Piyush and his team took a few months and the large appliance category was finally resuscitated. 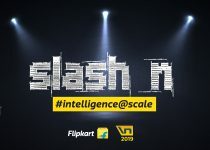 For Flipkart, relaunching the large appliance category meant ‘no more blunders.’ Projections on the demand front were already in place, thanks to lessons learned from the first unsuccessful attempt. 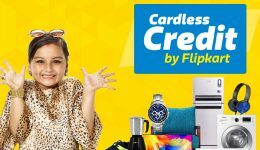 Flipkart knew that demand would bubble up in just a few weeks, and it did. It was now time to wait and watch. All eyes were on Flipkart. “We made it! During the relaunch, large [appliances] took off like a rocket!” Vikas recollects that moment in late 2015 with a jubilant smile. The bustle within the Jeeves corporate office at Bengaluru’s HSR Layout is reminiscent of the Bombay Stock Exchange on a bullish day. Except that the payoff is to achieve absolute customer satisfaction. 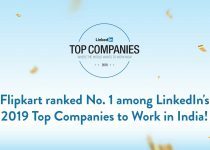 “Today, Flipkart forms a majority of our business in comparison to the work we do for other partners. 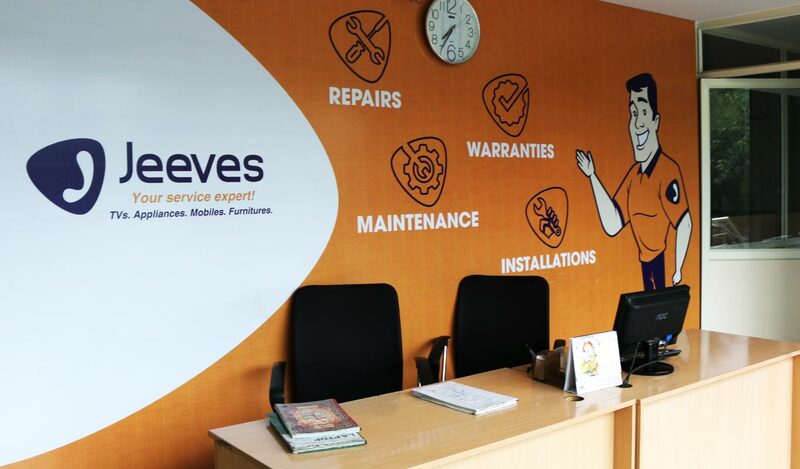 In FY 2017-18 Jeeves intends to add Mobiles, Furniture and Private Label to the portfolio. 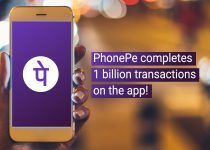 We also plan to launch several new capabilities like refurbishment, value added services — such as extended warranty — and customer walk-in repairs that will help change the service landscape for Flipkart,” affirms Abhijit Vishwanath Upadhye – CEO of Jeeves [now a Flipkart company]. 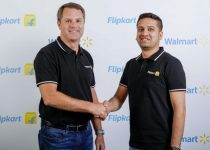 “Today, Flipkart forms a majority of our business in comparison to the work we do for other partners,” says Abhijit Vishwanath Upadhye – CEO of Jeeves [now a Flipkart company]. 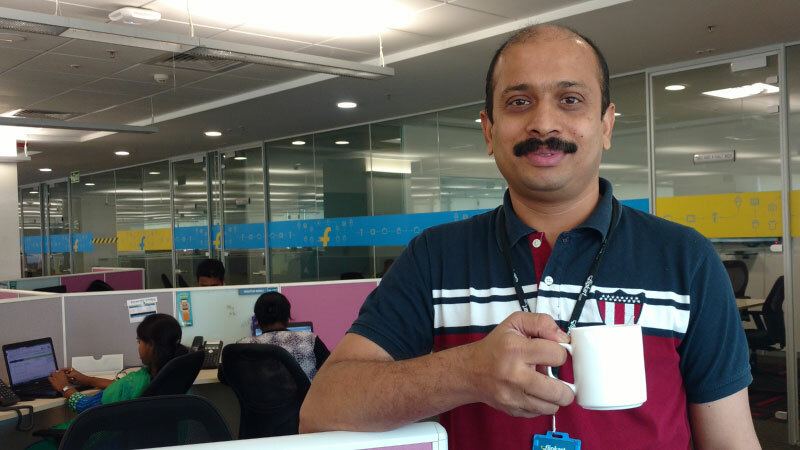 In early 2017 Abhijit joined Jeeves, inheriting the ‘large’ vessel in Flipkart’s brand new voyage. 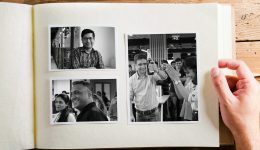 Previously, the VP of Business Development at Flipkart, he was undoubtedly the man for the job if Flipkart’s large appliance foray was to be successful. The bet with large appliance products on Flipkart was just the beginning. The more Flipkart dives into the subject, the more they understand that complexities precede opportunities. 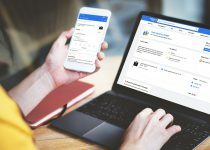 “Not a day goes by without us gaining new insight from the customer; reminding us that the consumer is the king, and knows beyond all,” says Krishna Prabhu – Director of Service Operations at Jeeves. 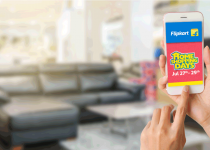 Krishna Prabhu – Director of Service Operations at Jeeves says that not a day goes by without Flipkart gaining new insight from the customers. 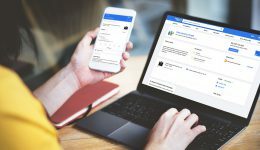 “About a year back, we got insights on how Same-day-Delivery and installation is a customer expectation. So we obliged,” says Krishna. Satisfaction translated in smiles. 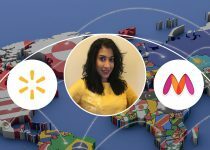 “We soon plan to open this service across other Flipkart categories and our private label brands. 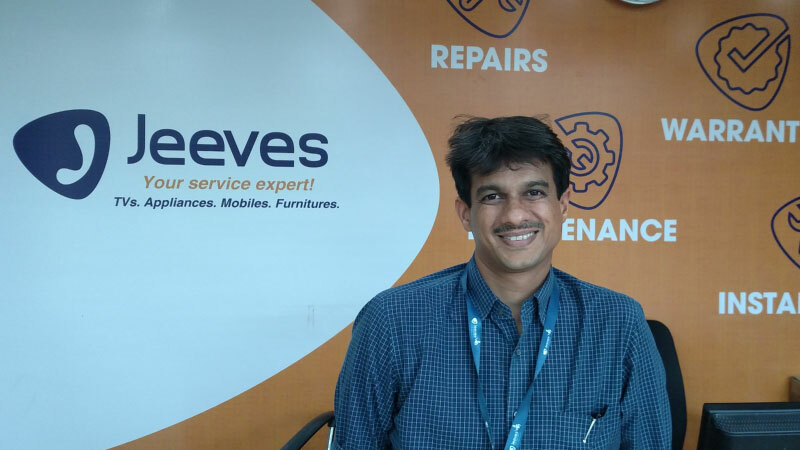 Jeeves is already taking care of after sales service for Flipkart SmartBuy products and offering extended warranty for many products sold on Flipkart,” adds Vikas Bansal. 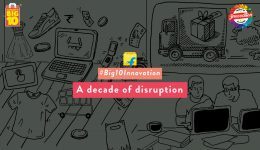 Between May 15 and 18, 2017, Flipkart launched the BIG10 Sale, dedicated to a decade of customer trust and technological disruption. 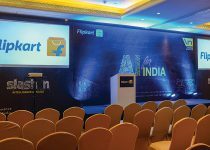 The Flipkart Large Appliance category sales saw a peak in those four days — a testament to the power of innovation. 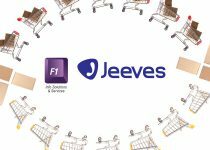 Flipkart, through Jeeves, today offers delivery and installation service across 10 cities and 23 hubs. 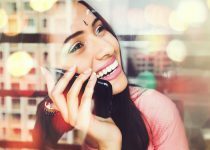 And to top it all, CSAT scores for the Large category saw a significant improvement after Flipkart integrated Jeeves as a capability — one that online India has never seen in the past. 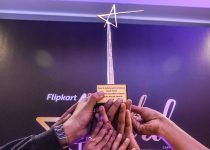 This was a clear acknowledgement of Flipkart’s unrelenting pursuit to drive customer-centric innovation.